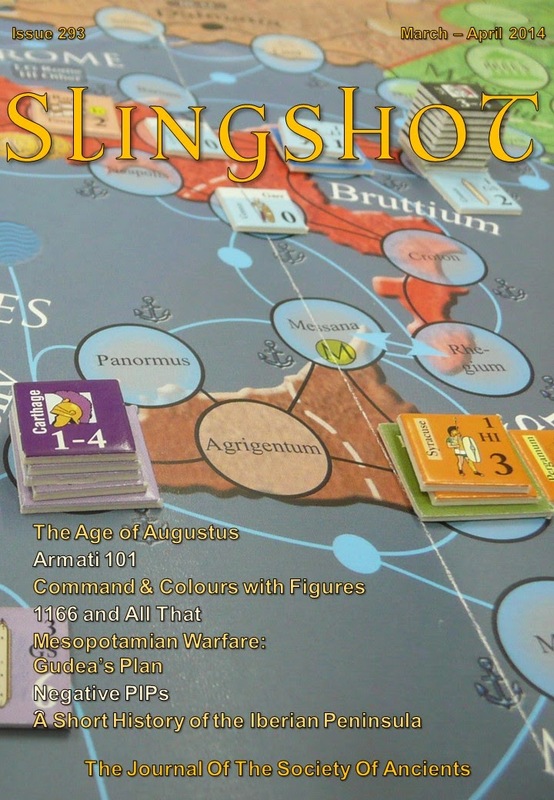 The latest issue of Slingshot is now arriving with subscribers. Slingshot is issued six times a year to members of the Society of Ancients. The editor is always looking for more articles, photographs and art, so feel free to contact him through editor@soa.org.uk if you have an idea. In other news the first in our series of Classic Slingshot Articles, "Rioting in Alexandria" by Ed Mills, from issue 27 (way back in 1970! ), is now online here. Also, the Society's Balearic Bundles deal is about to expire. If you are interested in picking up cheap hard copies of older Slingshot bundles, now is almost the last chance to do so. More information can be found here.